The Fremont, CA-headquartered GammaTech Corporation will reportedly launch a new ruggedized convertible laptop, called Durabook U12Ci. According to the manufacturer, the device is capable of withstanding tough, real world conditions and offers much power, portability and security. Aimed at field workers, the U12Ci will apparently go on sale soon and will be available via GammaTech USA or its authorized distributors. 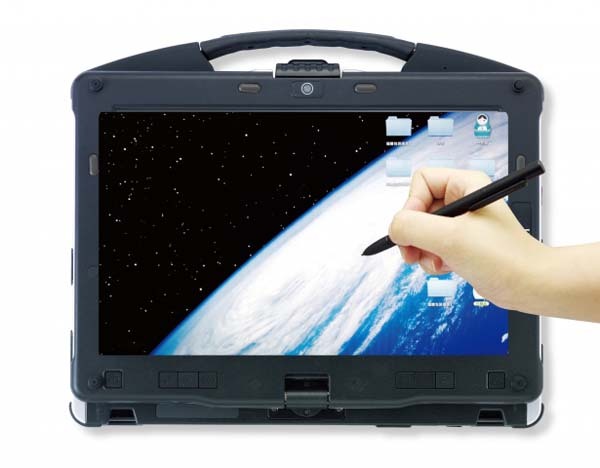 This fully rugged notebook-slash-tablet is drop, shock (tested to the MIL-STD-810G military standard), spill and dust resistant. Furthermore, it is presumably built using PC+ABS and magnesium alloys for enhanced durability. A brief glance through the specs sheet indicates that the U12Ci is based on Intel’s HM77 Express Chipset and will be driven by a choice of Sandy Bridge (Celeron 867/i3) or Ivy Bridge central processing units. In addition, the new Durabook sports a convertible LED-backlit touchscreen (resistive with a digitizer) panel that is readable in direct sunlight (option), measures 12.1 inches in diagonal and has a maximum supported resolution of 1280-by-800 pixels (WXGA). The laptop supposedly houses up to 16GB of DDR3 memory (two SODIMM sockets) and a SATA3 HDD/SSD storage drive for fast boot/resume times. 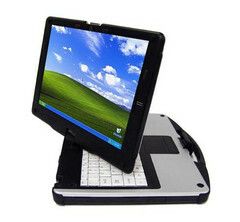 Moreover, it features an integrated graphics controller, stereo speakers and a spill resistant keyboard with dedicated function keys. Connectivity-wise, the U12Ci comes with Intel WiFi Link 1000 b/g/n and Bluetooth 2.1+EDR radios accompanied by one Mini Express Card slot for WLAN. Other specs include one USB 3.0 port, one eSATA/USB 2 combo port, an 84 pin docking connector, an SD/SDHC card reader slot and a 1.3MP web camera for video conferencing. 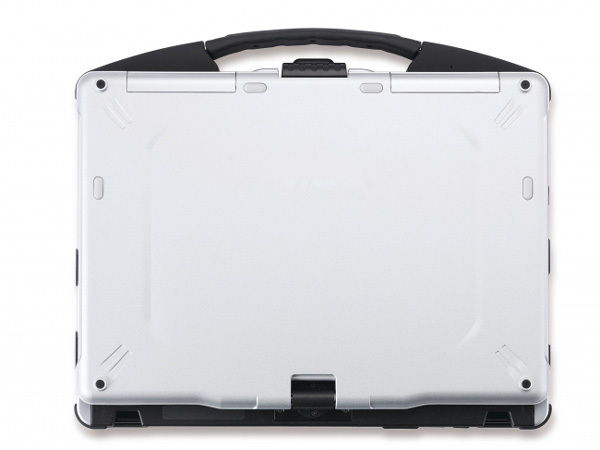 Reportedly, GammaTech’s latest rugged Durabook notebook weighs 2.5kg (5.5lbs) with the built-in 6 cell 5000mAh Li-Ion battery (up to 6 hours) and will have a starting price of about $1000.